A child’s immune system can’t fight off infection as well as an adult’s, which means an ear, nose, or throat issue can quickly become problematic. Adult & Pediatric Ear, Nose & Throat (ENT) in Kalamazoo, Michigan, has a team of expert otolaryngologists who help children resolve everything from asthma and allergies to sinus infections and earaches. You can trust the ENT experts in this practice to treat your child with care, so book an appointment today. Pediatric ear, nose, and throat (ENT) care involves the diagnosis and treatment of conditions that affect these bodily systems, which are all intricately linked. At Adult & Pediatric Ear, Nose & Throat, physicians treat a broad range of conditions, like sinus problems, allergies, chronic ear infections, sore throat, and more. Children can be more susceptible to ear, nose, and throat problems, as they constantly encounter germs and bacteria at school, daycare, or on the playground. The physiology of a child differs from that of an adult, so pediatric ENT services are tailored to meet the specific needs of a younger, developing body. What Services are Covered Under Pediatric ENT? 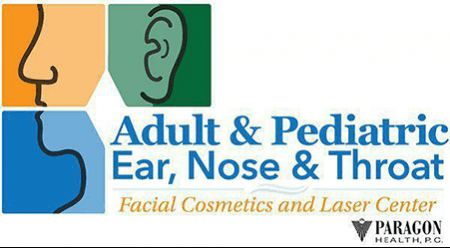 At Adult & Pediatric Ear, Nose & Throat, the physicians provide comprehensive care that aims to meet the need of every child. Your practitioner works with you and your child to develop the best possible treatment plan and outcome. The practice also provides comprehensive audiology and allergy services, custom-made hearing aids, and earplugs. They do everything possible to ensure that your child is comfortable and happy during every visit. Ear, nose, and throat disorders are among the most common pediatric problems that require a doctor visit. It’s essential to teach kids proper personal care and hygiene habits to keep them healthy, such as washing their hands and taking their vitamins. Be especially mindful in the winter months when children are indoors: poor ventilation can lead to the spread of germs. Make sure to also schedule regular medical check-ups for your child, as some ENT issues have no symptoms. While you can’t protect your child from all harmful microbes, these habits can help keep kids healthy and happy. To learn more about the pediatric ENT services at Adult & Pediatric Ear, Nose & Throat, book an appointment online today.